Keith Taylor comes to Cynosure from The Carlyle Group in Washington, DC, where he was a Managing Director, having spent nine years with Carlyle’s Global Financial Services Fund Group, helping manage two private equity funds. 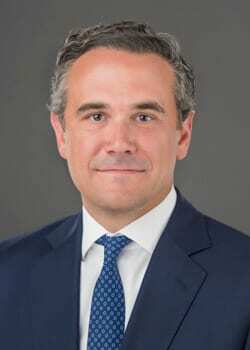 While at Carlyle, he was responsible for a number of the firm’s financial services investments and led the firm’s sourcing of investments in the asset management and wealth advisory industries. Before joining Carlyle, Mr. Taylor was an investment banker with Goldman Sachs, working in Goldman’s Financial Institutions Group, and he worked in a similar capacity for JPMorgan Chase and J.P. Morgan. Mr. Taylor serves as a Director of Brand Group Holdings, Inc., Avalon Advisors and Conifer Securities. He received an M.B.A. from The Kellogg School of Management at Northwestern University and a B.S. in Accounting from Washington and Lee University.